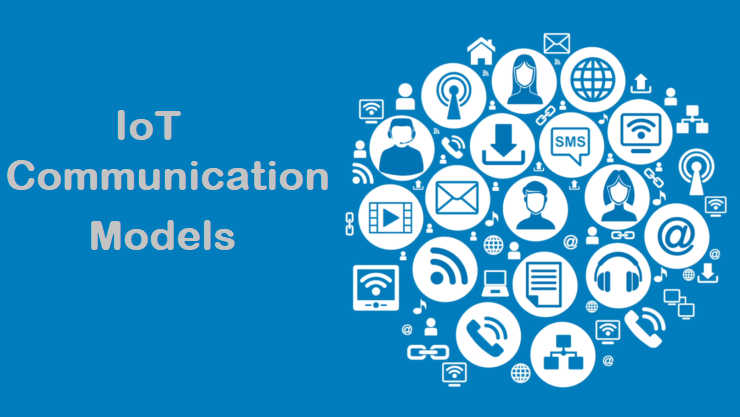 Here We explain some major IoT communication models. Request-response model is communication model in which the client sends requests to the server and the server responds to the requests. When the server receives a request, it decides how to respond, fetches the data, retrieves resource representation, prepares the response, and then sends the response to the client. Request-response is a stateless communication model and each request-response pair is independent of others. HTTP works as a request-response protocol between a client and server. A web browser may be the client, and an application on a computer that hosts a web site may be the server. Publish-Subscribe is a communication model that involves publishers, brokers and consumers. Publishers are the source of data. Publishers send the data to the topics which are managed by the broker. Publishers are not aware of the consumers. Consumers subscribe to the topics which are managed by the broker. When the broker receive data for a topic from the publisher, it sends the data to all the subscribed consumers. Push-Pull is a communication model in which the data producers push the data to queues and the consumers Pull the data from the Queues. Producers do not need to be aware of the consumers. Queues help in decoupling the messaging between the Producers and Consumers. Queues also act as a buffer which helps in situations when there is a mismatch between the rate at which the producers push data and the rate rate at which the consumer pull data. Exclusive Pair is a bidirectional, fully duplex communication model that uses a persistent connection between the client and server. Connection is setup it remains open until the client sends a request to close the connection. Client and server can send messages to each other after connection setup. Exclusive pair is stateful communication model and the server is aware of all the open connections.